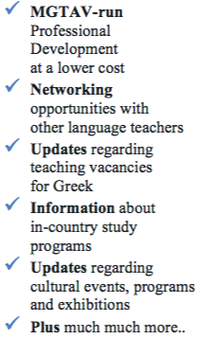 Welcome to the official homepage of the Modern Greek Teachers' Association of Victoria. ​The MGTAV supports teachers, instructors and learners of Modern Greek throughout Victoria by providing quality professional development for our members and learning opportunities for students. Thank you to all our members for your ongoing support. 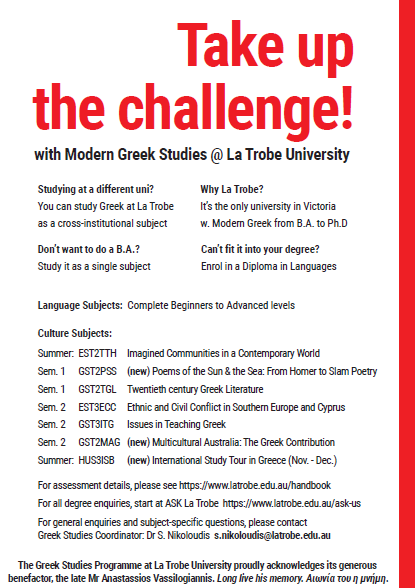 Over the last 48 years the MGTAV has been contributing to Greek Language Education within Victoria. Together, we continue to promote the Greek language for future generations to come.